NPPD is continuing their work on the 115 kV transmission substation that serves Valentine and the surrounding area and are now able to take the city off of the temporary mobile substation and put us back on our normal feed. In order to switch back, NPPD has scheduled an up to 20 minute outage which will affect the entire town on November 27th, 2018 at 3:30 p.m. Work will continue on the substation but this should be the final city wide outage. 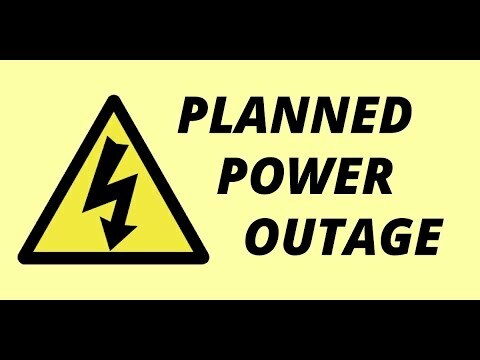 KBR Rural Public Power District will also have a scheduled outage today, November 27th at 3 pm CT. KBR Customers served off the Marsh Lake Substation will see about a one hour outage. KBR Customers will also experience an approximately 4 hour outage tomorrow, November 28th, starting at 10 AM CT, and customers affected will be from Valentine to Cody, as well as the Ohlmstead Addition, Marlboro Estates and south to Merritt Reservoir. Cherry Todd has also just announced an outage to last approximately 15 minutes today, November 27th, at 10 am CT, affecting Sparks customers and east and west of Valentine.